The Longest Distance Relationship (dir. 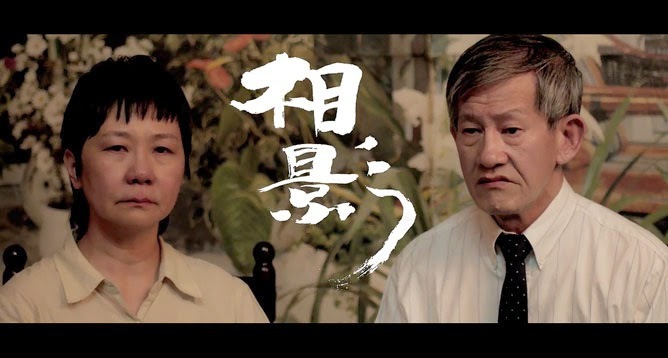 Lee Sin Yee): In this crowd-pleasing documentary, four Singaporean filmmakers (one Taoist, one Buddhist, one Christian, one atheist) explore the quirks of each other’s religious beliefs. 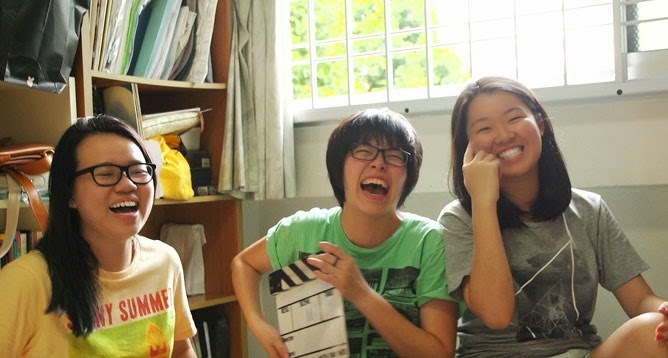 The filmmakers have a canny instinct for sussing out what’s funniest about their footage. This includes a temple trip that sees a joss-stick selling auntie, her friend, and the resident monk all taking turns to puzzle out the theological significance of a Confucius statue. Or one of their mothers’ dwindling discomfort with letting her children eat beef noodles. But they also dwell willingly on more fraught parts of our mutual co-existence, like when one of them admits her struggle with her genuine belief that her friends are headed to hell. It’s a frank and vital piece of work that deserves more attention and applause. Wedding Portrait (dir. Royston Tan): A middle-aged woman takes her elderly father to an old Malaysian photo studio to recreate his wedding portrait. The characters are a bit too undetailed (and their pursed lips too withholding) to give us much to work with, but props to the film for trying to parlay the complexity of a long-suffering daughter taking over her mother’s duties into something profound. Three Little Pigs (dir. Ang Geck Geck): Director Ang Geck Geck pairs up again with her young muse Denise Goh, and as filmgoers we continue to reap the benefits. The pair previously collaborated on Broken Crayon, a tough film on childhood sexual abuse that won Best Fiction at the Singapore Short Film Awards (review | production talk). Three Little Pigs goes further to prove that Denise is as gifted before the cameras as Geck Geck is behind them. As a kindergartener tasked with reciting a story, Denise is asked to turn on her winsome personality, and wear her heart on her sleeve. All the better to love her with, before her onscreen grandma huffs and puffs, and the story blows her dreams down. Meanwhile, Geck Geck proves her utter mastery at knowing when to keep things offscreen, and she knows exactly how to place her camera so that one little story can mean a little girl’s entire world. 3 Seconds (dir. Martin Hong): At this point, we recognise a Martin Hong short film when we see one, because he can never resist injecting his lovelorn fables with a heavy dose of magic-realist quirk. This time, a neglected girlfriend stirs fish food into her boyfriend’s Milo to revive his affections, which ends up less disgusting and more beguiling than a synopsis might make it seem. Here, Martin shows his growing confidence in his audiences by not doling out too much exposition, and just letting the logic of events unfold. But like his other films, he still concerns himself only with characters who have diminished romantic universes. If Martin can bring himself to give his future characters more than just the one motivation, we might get to see his own capacious imagination really fly.